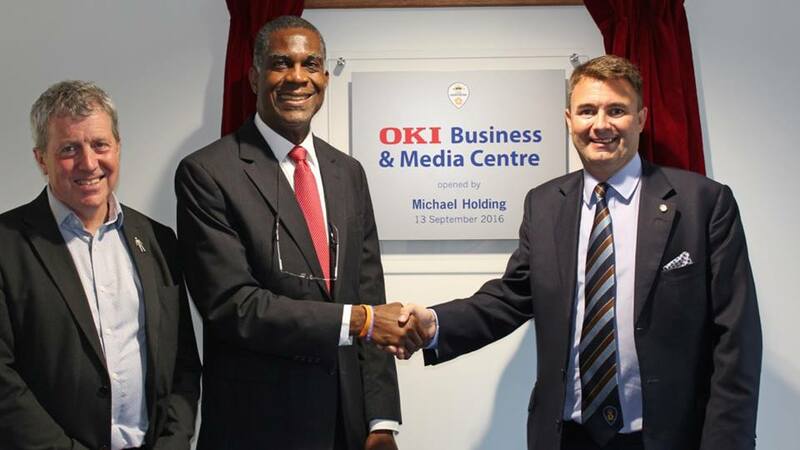 West Indies and cricket legend Michael Holding was on hand to officially open the new £2 million OKI Business & Media Centre at The 3aaa County Ground at Bondholder Derbyshire County Cricket Club. The former fast bowler, who is now a popular member of Sky Sports' cricket commentary team, returned to the ground in which he enjoyed seven successful years at, between 1983 and 1989, claiming 224 first-class wickets. 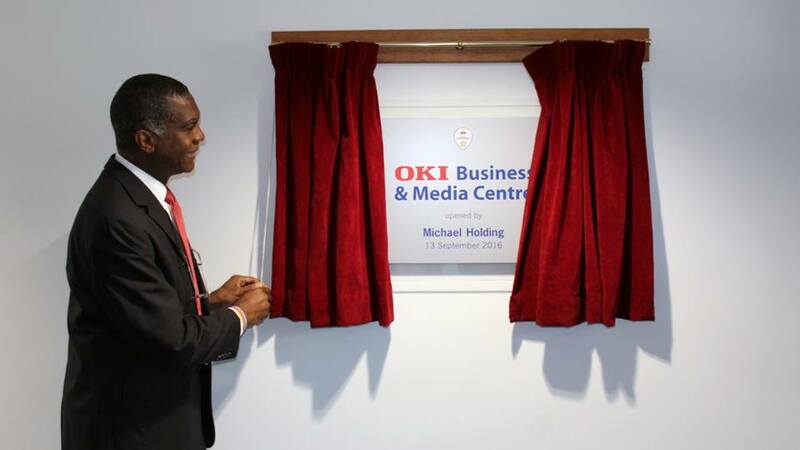 Holding was joined by delegates from the companies who helped design and construct the new state-of-the-art facility, plus its new principal sponsors, OKI and representatives from Bondholder Derby City Council. The new four-storey building incorporates two floors of office space as well as a state-of-the-art media floor which meet International Cricket Council and England & Wales Cricket Board media requirements. The first office tenant of which will be Bondholder Bell & Co.
On opening the new facility, Holding said: “It’s an honour to be asked to open this fantastic new facility here at The 3aaa County Ground. The Club continues to make great improvements around the ground. Anyone who played here in the 1980s like I did, would not recognise the ground today."